Manila, Philippines – Malacañang said on Wednesday that ousted Chief Justice Maria Lourdes Sereno can do whatever she wants to do with her life now, including her plan to lead a “people” movement” that will make the government hold accountable, as she said. Palace Spokesman Harry Roque said that Sereno is free to do anything she enjoys doing, especially now that she is no longer the chief justice. “We are free. So they can enjoy whatever they want to do and she has to do something now, she is no longer Chief Justice,” the presidential spokesperson said. However, Roque also expressed doubt whether this ‘people’s movement’ could get enough support for the Filipino people. “Eh baka naman mabilang lang sa daliri ang kaniyang mga tagasunod (She may only have a few followers),” Roque said. 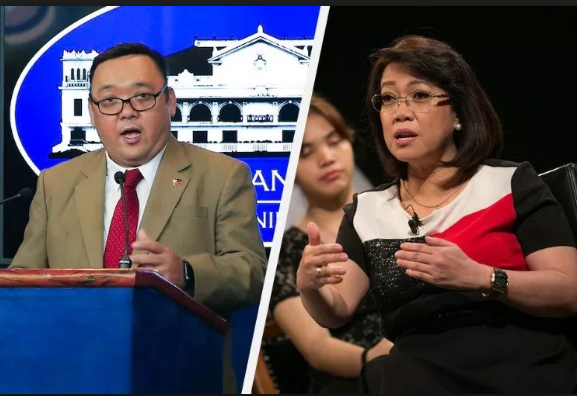 Roque, on the other hand, advised Sereno to respect the Supreme Court’s decision to uphold its ruling to grant the quo warranto filed by the Office of the Solicitor General (OSG) that resulted to her ouster. “Goodbye Meilou and good luck to the next journey of your life,” he said, wishing Sereno a good luck as a private citizen. The Supreme Court has decided to deny the appeal of the former chief justice with finality upholding its initial ruling. The SC voted 8-6 in favor of Solicitor General Jose Calida’s quo warranto petition on May 11 and also came out with the same voting result on Tuesday to deny Sereno’s motion for reconsideration. Hours after SC’s final decision, Sereno made a statement in front her supporters in a forum at the University of the Philippines where she said, that she’s now ready to lead the “people’s movement”. In her speech, Sereno said that she will make the government of Duterte hold accountable, and that she will continue to defend the law, institutions and uphold the dignity of the Filipinos. "On the birth anniversary of Gat Jose Rizal, the unity we have forged these last months will be the foundation of genuine people's movement that will hold government accountable for its actions and help enlighten Filipinos regarding important national issues the first of which is charter change," Sereno said. "We're in no mood of jokes, for flipflopping, for lies, for propaganda, for improvisational governance," she said.